Daniel has spent centuries falling in love with the same girl. Life after life, crossing continents and dynasties, he and Sophia (despite her changing name and form) have been drawn together - and he remembers it all. Daniel has 'the memory', the ability to recall past lives and recognize souls of those he's previously known. It is a gift and a curse. For all the times that he and Sophia have been drawn together throughout history, they have also been torn painfully, fatally, apart. A love always too short. Interwoven through Sophia and Daniel's unfolding present day relationship are glimpses of their expansive history together. From 552 Asia Minor to 1918 England and 1972 Virginia, the two souls share a long and sometimes torturous path of seeking each other time and time again. But just when young Sophia (now 'Lucy' in the present) finally begins to awaken to the secret of their shared past, to understand the true reason for the strength of their attraction, the mysterious . . . The year is 1929, and newlyweds George and Serena Pemberton travel from Boston to the North Carolina mountains where they plan to create a timber empire. Although George has already lived in the camp long enough to father an illegitimate child, Serena is new to the mountains—but she soon shows herself to be the equal of any man, overseeing crews, hunting rattle-­snakes, even saving her husband's life in the wilderness. Together this lord and lady of the woodlands ruthlessly kill or vanquish all who fall out of favor. Yet when Serena learns that she will never bear a child, she sets out to murder the son George fathered without her. Mother and child begin a struggle for their lives, and when Serena suspects George is protecting his illegitimate family, the Pembertons' intense, passionate marriage starts to unravel as the story moves toward its shocking reckoning. Rash's masterful balance of violence and beauty yields a riveting novel that, at its core, tells of love both honored . . .
Leo Tolstoy, or Count Lev Nikolayevich Tolstoy; September 9 1828 - November 20 1910), was a Russian writer widely regarded as among the greatest of novelists.  His masterpieces War and Peace and Anna Karenina represent in their scope, breadth and vivid depiction of 19th-­century Russian life and attitudes, the peak of realist fiction. 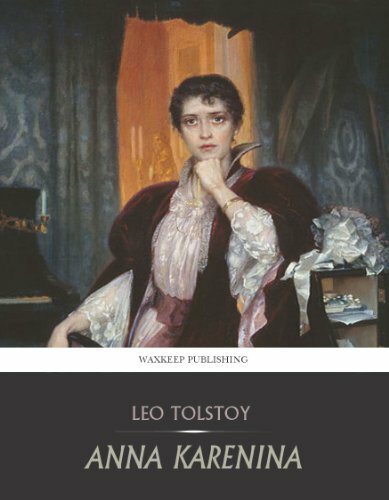 Tolstoy's further talents as essayist, dramatist, and educational reformer made him the most influential member of the aristocratic Tolstoy family. His literal interpretation of the ethical teachings of Jesus, centering on the Sermon on the Mount, caused him in later life to become a fervent Christian anarchist and pacifist. His ideas on nonviolent resistance, expressed in such works as The Kingdom of God Is Within You, were to have a profound impact on such pivotal twentieth-­century figures as Mahatma Gandhi and Martin Luther King, Jr. BONUS: This edition contains an excerpt from Danielle Steel's Hotel Vendome. This compelling, centuries-­spanning novel brilliantly interweaves the lives of two women—a writer working in the heart of modern academia and a daring young Sioux Indian on an incredible journey in the eighteenth century. The result is an unforgettable story of courage in the face of the unknown. At the age of thirty-­eight, Brigitte Nicholson has a job she likes, a man she loves, and a book she’s writing that she will finish—someday. Someday is Brigitte’s watchword. Someday she and Ted will clarify their relationship. Someday she will stop playing it so safe. Then, on a snowy day in Boston, Brigitte’s life is jolted and everything she has counted on changes. As she struggles to plot a new course, Brigitte agrees to help her mother on a family genealogy project and makes a stunning discovery that reaches back to the French aristocracy. How did Brigitte’s mysterious ancestor Wachiwi, a . . .
From the glittering ballrooms of Manhattan to the fires of World War I, Danielle Steel takes us on an unforgettable journey in her new novel—a spellbinding tale of war, loss, history, and one woman’s unbreakable spirit.... Nineteen-­year-­old Annabelle Worthington was born into a life of privilege, raised amid the glamour of New York society, with glorious homes on Fifth Avenue and in Newport, Rhode Island. But everything changed on a cold April day in 1912, when the sinking of the shattered her family and her privileged world forever. Finding strength within her grief, Annabelle pours herself into volunteer work, nursing the poor, igniting a passion for medicine that would shape the course of her life. But for Annabelle, first love, and a seemingly idyllic marriage, will soon bring more grief—this time caused by the secrets of the human heart. Betrayed, and pursued by a scandal she does not deserve, Annabelle flees New York for war-­ravaged France, hoping to lose herself in a life . . .